Pre wash rinse with warm water. No added water. Rinse with cold water and bac-out. No added water here either. Hot wash adding water for 5 minutes. I use Allen’s Naturally detergent. Hot rinse with 1/2 cup white vinegar adding water for 5 minutes. Hot water soak with RLR. Sprinkle one packet of RLR over diapers, add water for 5 or 6 minutes and pause cycle. Leave overnight then let machine finish cycle. Rinse in hot water as many times as is necessary until no more bubbles form. This usually takes me at least 5 rinses and as many as 10. 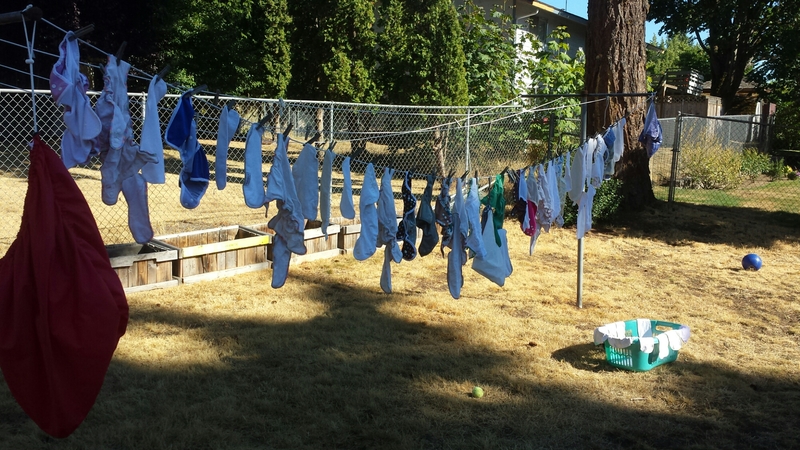 If your cloth diapers are really stinky or are giving your baby a diaper rash, it might be time to strip.